Does it Make More Sense to Rent… or Own? With Seattle’s robust job market and high housing costs, there has been a lot of talk lately about the cost of living in the Greater Seattle area. In fact, Seattle is now the 5th most expensive city to rent in the country according to a new study from Nested.com. The average monthly rental price for a one bedroom apartment in the city of Seattle is $1,790 according to Zumper.com, up 8.5% year-over-year; and a two bedroom is $2,470, up 6% year-over-year! With rising rental rates, still historically low interest rates, and home prices on the rise, the advantage of buying versus renting has become clear for folks who have a down payment saved, good debt-to-income ratios and strong credit. 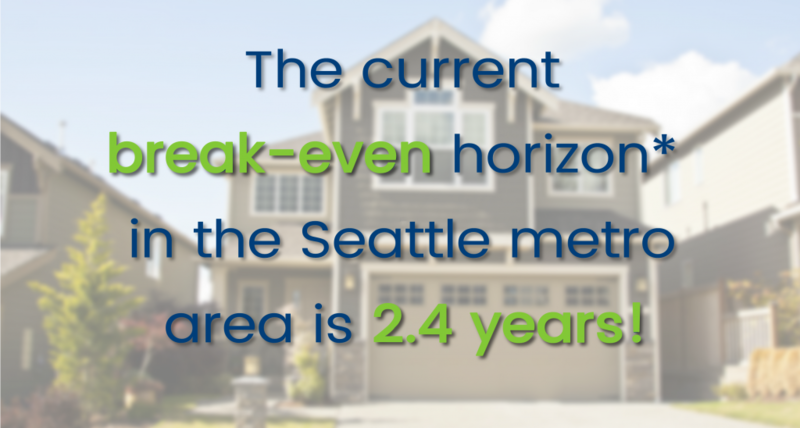 Currently, the breakeven horizon (the amount of time you need to own your home in order for owning to be a superior financial decision vs. renting) in the Greater Seattle area is 2.4 years according to Zillow research. 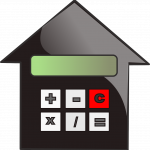 An additional study by Nested.com outlines the monthly rental costs for a single person or a family of four, as well as the yearly income required. In Seattle, it costs the average single person $1,288.76 a month to rent, which requires an annual income of $53,328.00. The average family of four costs $2,665.34 for monthly rent, and an annual income of $101,186.48. That is a lot of money one would be paying towards someone else’s investment. There are several factors to consider that will lead you to make the best decision for your lifestyle and your financial bottom line. One of the biggest factors is interest rates! Currently, the rate for a 30-year fixed, conventional, conforming loan is hovering around 4.25%. That is amazingly and historically low, making the advantage of securing a mortgage huge. What is nice about having a mortgage is that the payment stays the same over the term of the loan. With renting, rates can be increased at any time, and you are paying down someone else’s asset, not your own. Owning gives the homeowner control over their overhead while getting to make their house their home. What is also so great about owning, is that once you have hit the breakeven horizon, every month that ticks away thereafter is building your nest egg in value. The long-term benefits of owning are abundant, including the stability of not being asked to move. These are important factors to consider for everyone, but especially the younger folks who are enjoying the benefits of Seattle’s attractive job market. Where folks are having to compromise most due to affordability is commute times, and settling in less urban neighborhoods. Worth pointing out, is the average home price in South Snohomish County is 46% less than Seattle Metro – that is a huge savings! Some people, mainly millennials, have not been willing to give up living in the more core urban neighborhoods that have high walk scores and shorter commute times. That should be apt to change as rents are rising fastest in those areas. The advantages of moving out a little further and securing a home will start people on the track of building long term wealth. If you or anyone you know is currently renting and is considering a change, please let us know as we would be happy to get their questions answered to help them make an informed decision.